Open Borders Advocate Bill Clinton Claims ‘Nationalism Destroying’ U.S. 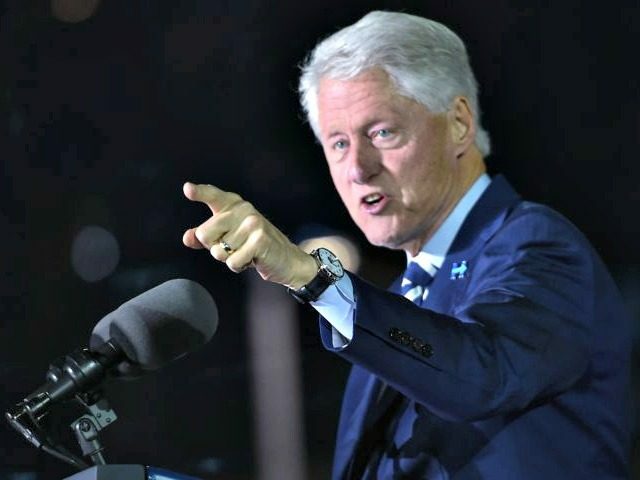 In a thinly veiled reference to President Donald J. Trump, former President Bill Clinton unleashed a warning against the rising “nationalism” he sees across the globe. “People who claim to want the nation-state are actually trying to have a pan-national movement to institutionalize separatism and division within borders all over the world,” Clinton said during a speech at the liberal Brookings Institution in Washington, D.C., Politico reported. “It’s like we’re all having an identity crisis at once — and it is an inevitable consequence of the economic and social changes that have occurred at an increasingly rapid pace,” Clinton added. With his first major public appearance since his wife lost her second bid for the White House, Clinton lamented the “us vs. them” attitude he sees in the world. These statements may not be surprising from a figure who has called for wide open borders. On that terrible day in 2001 that radical Muslim terrorists launched the most devastating attack on the U.S.A. in history, Bill Clinton was in Australia giving a speech before a group of businessmen. In comments made only ten hours before the towers fell in New York, Bill Clinton said he felt the wold would be a better place if there were no national borders.